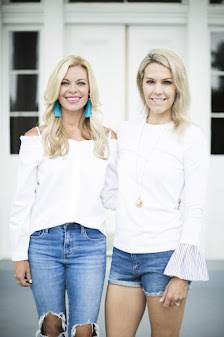 Two Nashville working moms, sharing tips on fitness, style and fun! Spring brings one of my favorite holidays- Easter! 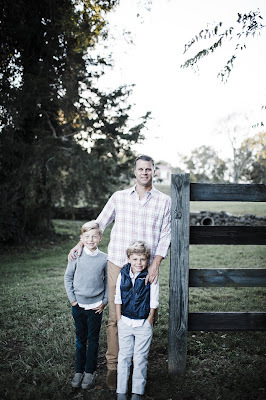 I have wonderful childhood memories of warmer weather, egg hunts, and yummy after church brunch. I want to always keep those traditions going with my family which of course always included a new "springy" dress to wear on Easter Sunday. I found this fun + floral dress which has so many gorgeous colors! 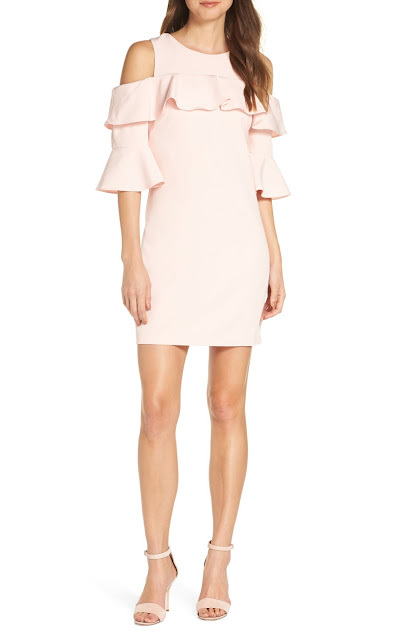 The midi length is very church appropriate with a ruffle detail. I paired it with some on-trend accessories to modernize it. 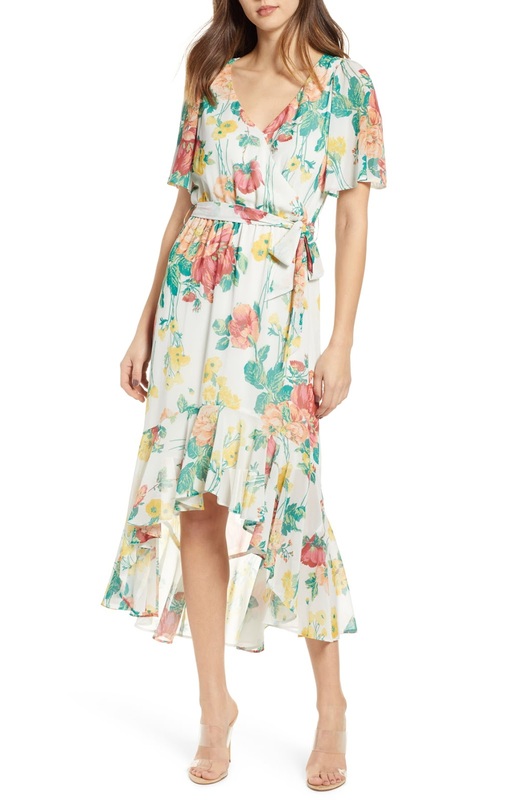 Here is another floral dress with a floaty sleeve detail that would be perfect as well. I love the handkerchief detail and the colors. I've been obsessed with florals lately! 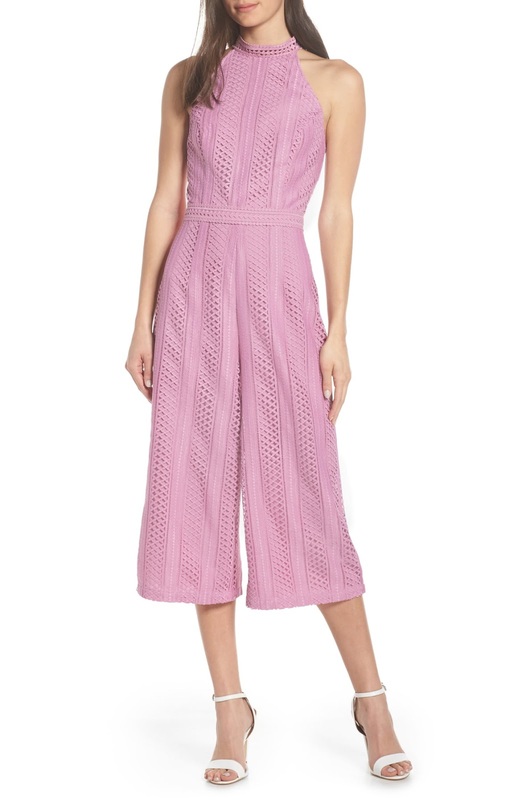 I think a jumpsuit is a fun way to modernize your Easter look. By choosing a pattern or color in a pastel it still gives you a traditional look just with an on-trend vibe. 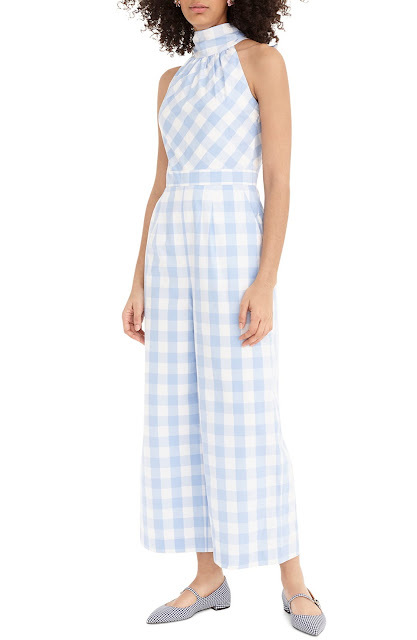 This gingham print is too adorable and under $100! How cute this lace crop jumpsuit in this beautiful light pink color?!! This is under $100 as well. 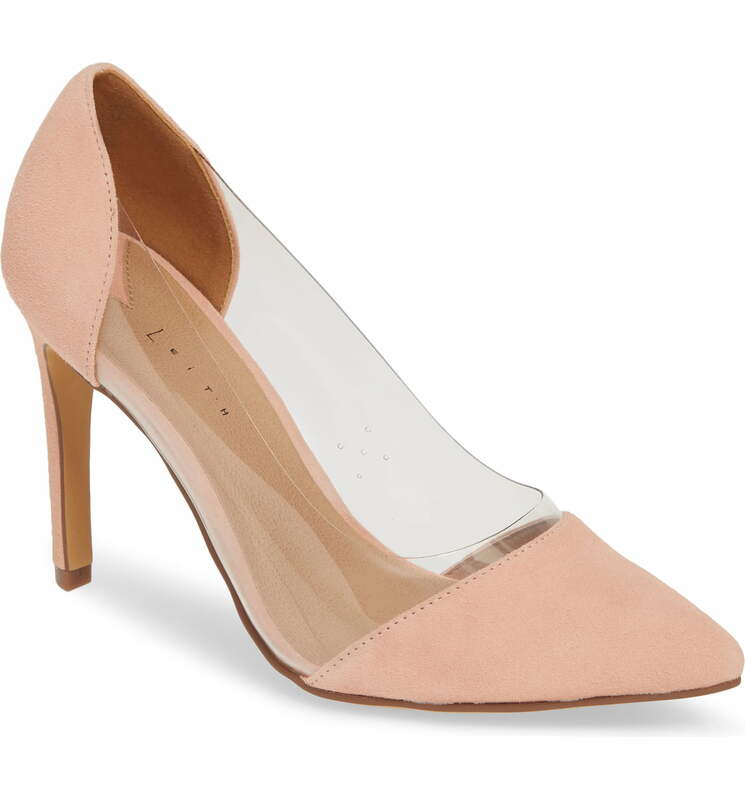 Every woman needs a neutral heel to pair with her Easter dress. 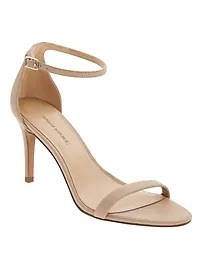 I love the silhouette of an ankle strap heel and they make your legs look longer. The heels on this pair aren't too high + they simply go with everything! If you are looking for a more modern shoe- I love this clear blush pointed toe pump! It would go with everything as well and I might need to scoop it up in black as well. 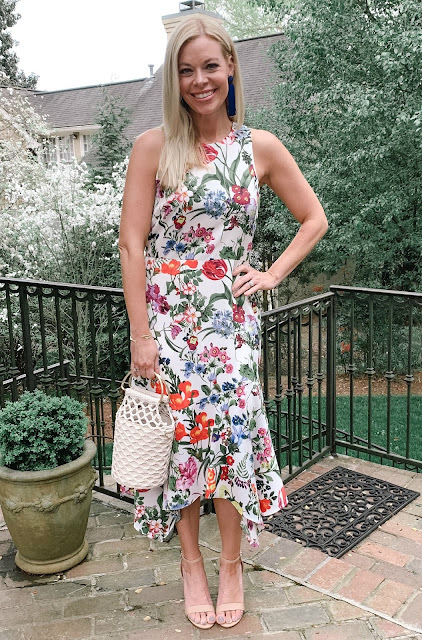 Click below to shop more of my Easter Picks! Happy April friends! I don't know about ya'll, but I am so ready for Spring and some warm weather. Amanda and I also love April because it is our birthday month #teamaries. Luckily, turning 37 is going to be off to a good start for me. My birthday is on the 14th, which means Masters Sunday, and Game of Thrones Season Premiere!! Now, let's get to my birthday wish list. Every year, I feel it is essential to buy new swimsuit cover-ups, even though I have plenty. I am so loving Express this season and all of their clothes, especially their swim line. 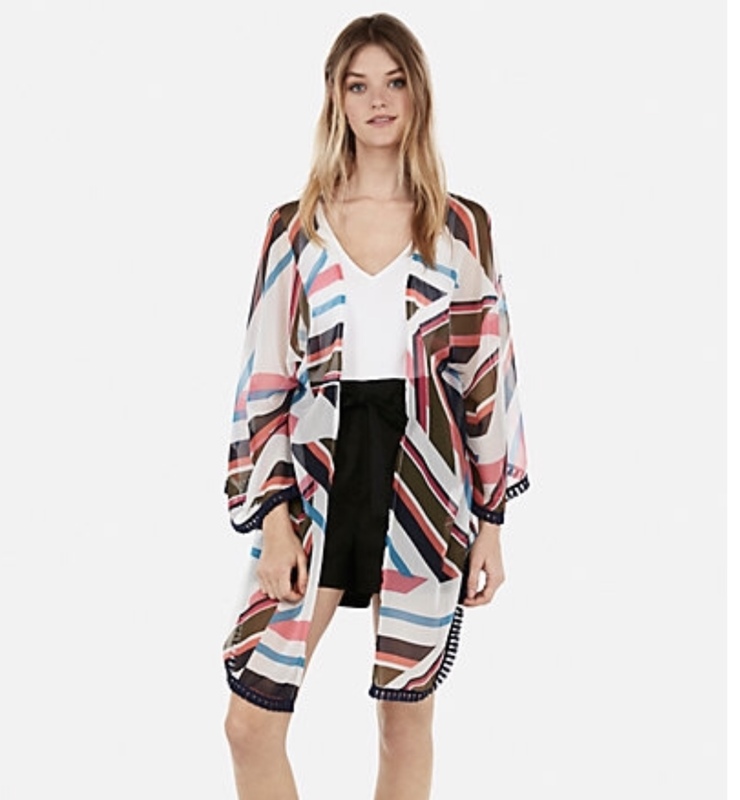 Loving this Chiffon Cover Up so much to pair with some jean shorts. New tennis shoes are always on my list year round. 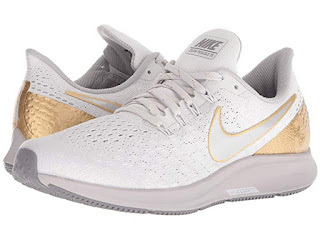 I have been wanting to pull the trigger on these Nike Air Zoom Pegasus for a while now. I love these shoes for all my cross training classes and running on the treadmill. I have loved my new Amazon Workout Top so much that I am wanting it in a few more colors. It is super comfy + light weight + great for all workouts. I got a Medium to give me a little more length. Amanda has had me obsessing over these Steve Madden Slides for a long time now. I will pretty much be living in these all summer. They go with basically everything!! You may know by now that I am very passionate about my coffee every morning. 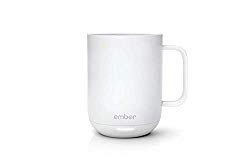 Needing this Temperature Control Ceramic Mug to keep my cup of joe warm. 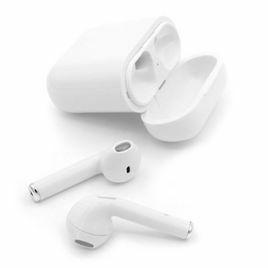 I am in some major need of some Wireless Ear buds for my at home workouts and treadmill work. I tried some and they seem to stay in just fine. I also hope to be drinking some Rose' and getting my fave birthday cake from Baskin Robbins. The ice cream cake is the best! Spring is a great time to jump into a new workout routine to get yourself motivated. 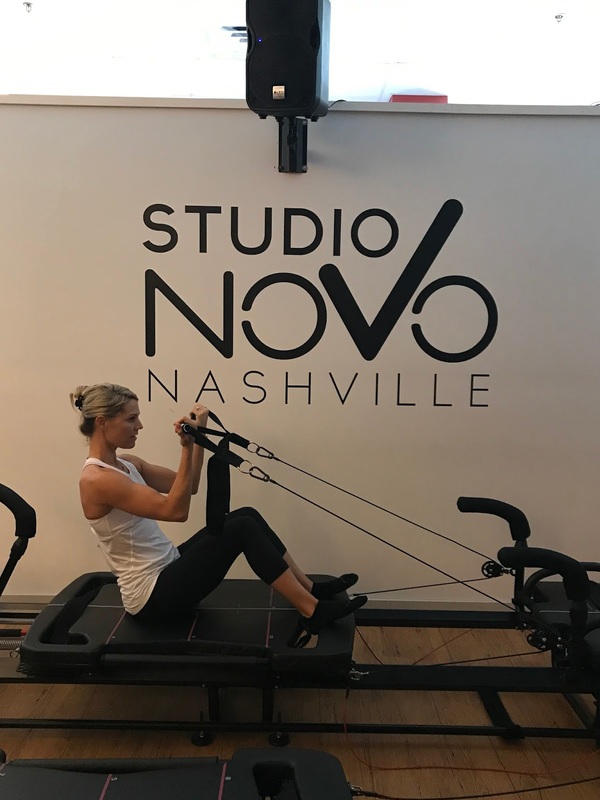 You may wonder how I take all of these great fitness classes around town. Do I have 20 different class packs everywhere? Nope, I am a ClassPass member. ClassPass has been the best thing for me since I love trying new things, and #mixingitup. First off your can try class pass for 2 weeks for free, so no use in not giving it a shot! Each class has a different number of credits required for class depending on the gym, and the class time. Most classes are around 5-10 credits per class. You can visit the same gym up to three times per month. ClassPass has an app that lists the 100's of studios who participate, class times, and you can register for your class on the app. There are so many class times during the day, its almost impossible not to find something that works for you! I have discovered so many great studios, and new workouts that I never would have found if I didn't have ClassPass. I do have a couple of additional class packs at some studios because I do go more than 3 times per month. But with ClassPass, I am able to extend my packages and don't have to repurchase classes too often. You always have the option to buy a few extra credits every month to get your through and you can roll up to 10 credits over per month. Remember to always pack a gym bag just in case you can make a class! Another perk is on the Class Pass app there are 100's of workout videos you can do at home if you don't have time to make it to the gym. Disclaimer: Sometimes the really popular classes on the schedule will not be available on ClassPass. I understand the studio wants to save spots for people who are actually members of the studio. This is really the only drawback there is for me with ClassPass. Which is another reason why I have a few packages at my favorite studios. Check out ClassPass and try some new classes! Leg workouts are my fave workouts! I love creating a nice burn for the lower body. If you take my Yoga Sculpt class, you know that it is the case. I know my home gym looks a little like a dungeon, but its gets the job done, and I love it. 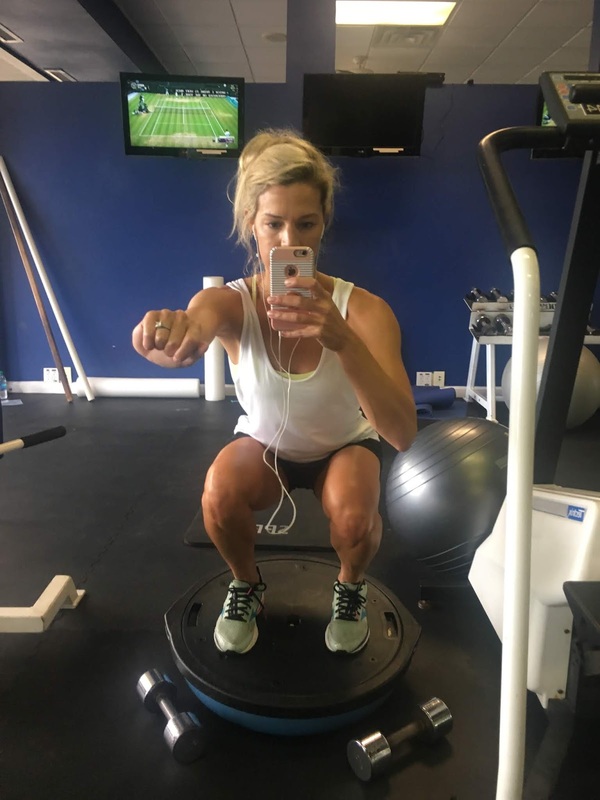 Check out my At Home Workout Essentials Post for some of the equipment I have. You may notice the treadmill in the background. This is a brand new purchase that has been a game changer, and I will be blogging about soon. Kneeling Squats will get your quads burning. Adding some weight can intensify this exercise more. I am using 2, 12 pound dumbbells here. Challenge yourself by not letting your booty touch your heels. Standing Pistol Squats with a small range of motion is a good way to get your legs warmed up and ready for full, down pistol squats. I add a weight (12 pounds) to create more tension. Listen to your body to determine your range of motion and how far to go down. Anything you can do with this exercise is challenging and builds major quad strength. Keep a small bend if your standing leg so you don't lock out at the top. Rolling Pistols: 3 sets of 5 each legs. Hope you enjoy getting your quad burn on! Wanu Water: Get Your Fiber On! I recently received a box of Wanu water to try, and I am in love!!!! 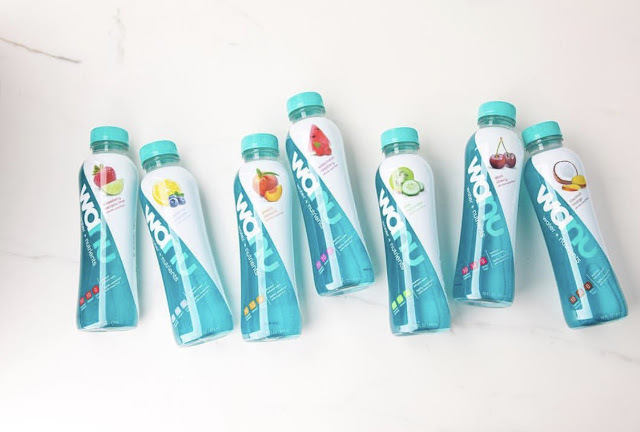 I saw this flavored water, full of fiber, on Instagram and thought it was genius! Y'all know by now that I believe having a high fiber diet can lead you to success (check out my F-Factor post). 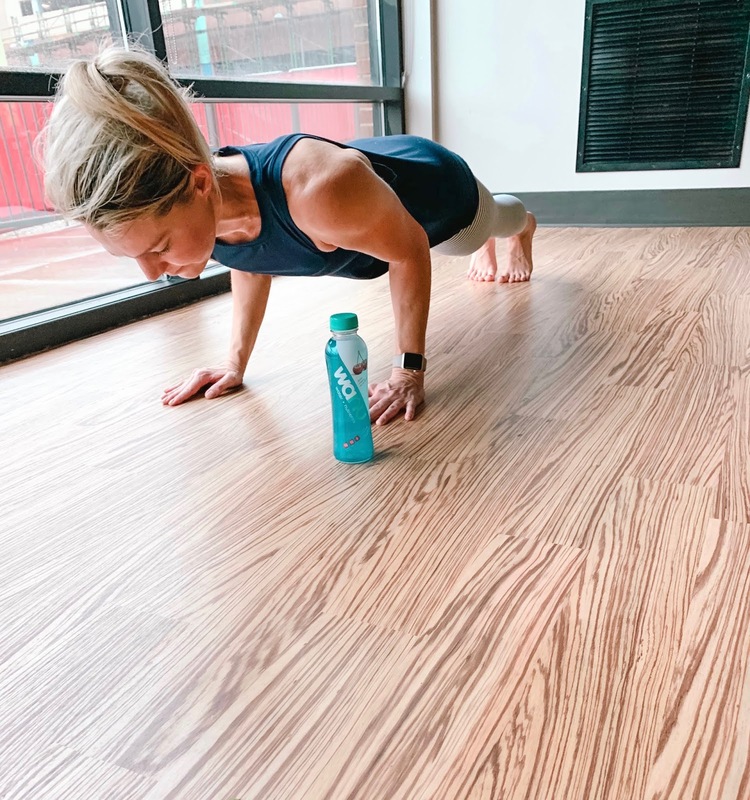 Wanu water is an easy way to get 6 grams of fiber in quickly, with limited calories and great taste! B1, B3, B5, B6, B12 vitamins for energy! Also important to note, that there is ZERO sugar, 2 carbs, and only 20 calories per bottle. My favorite time to drink this water has been in the morning on my way to work, especially if I haven’t gotten a good amount of fiber in for breakfast. I also love drinking one in the afternoon around 2 - 3 p.m. I find that the hardest time to stay away from snacking is from the time I get home, until dinner time. Wanu water really helped curb my appetite and gave me a sense of fullness. Have I mentioned that these are delicious?! I am trying to decide on my favorite flavor, but honestly, I like all of them. I even liked the peach flavor, and I am not usually a peach person. I think the Kiwi, and the Blueberry Lemon were my two faves. There is some research that claims you burn fat when working out first thing in the morning, on an empty stomach. The Wanu water is a great way to get some energy with the fiber, helping to get you through a morning workout without eating prior. I have a feeling that I am going to love mixing these with some vodka for my cocktails too!! I always seem to feel more hungry when I am drinking. What a great way to incorporate fiber into your cocktails to give you the sense of fullness. You can purchase them on Amazon by clicking here. You can also find them at CVS. Check out their website for their store locator. Hope you guys enjoy Wanu as much as I do! As much as I love going to classes for my workout, sometimes there really is no way to make it happen. My husband and I alternate mornings that we get to go to the gym, so the days that I can't make it I sometimes have to settle for a good ole at-home workout. First off a good few set of weights is essential. A good starting range is 5-10, then you can always build up to 8-12 pounds. I always like to start heavy and burn my muscles out, then drop down lower from there. A good beginner light weight set is 5-8 pound, intermediate 8-10, and advanced 10-15 pounds. Another fave is the "Booty band". Strap these around your ankles to intensify any leg workout, or keep them on during upper body with a wide stance to keep your legs engaged. I love doing bridge lifts with them and keeping my legs wide. You can also hold at the top of your bridge pose and pulse your legs outward. I love having an at home pull up bar. I have a goal to do 20 pull ups everyday. I use a pull up band when I do them of course. Maybe one day I'll workout up to doing them without, ha! But for now I love the extra support and guidance it gives me. I love incorporating a Bosu Ball into my workouts. Bosu ball's make your muscles stabilize and can intensify any workout. I like flipping is over and standing on it to do my upper body exercises and to intensify my squats. You can also flip it over to intensify your ab work. This makes it so much harder because you are having to stabilize + use your core strength. Resistance bands with handles are a great option to use instead of weights + they travel well! They also really help you get that long lean muscle because you have constant tension. You can use these for bicep curls + tricep kickbacks + lower body. The beloved Kettle Bell. I may be the only person that likes doing kettle bell swings! But they are such a good full body workout + they get your heart rate up! Hope this helps you get some motivation for your at home workouts! The big V Day is just around the corner! I have to admit I'm not always the biggest fan of this holiday because I'm not much of a red + pink kinda girl (self-admitted neutral lover!) But it does give you a good excuse to show your loved ones (or even yourself) a little extra love! 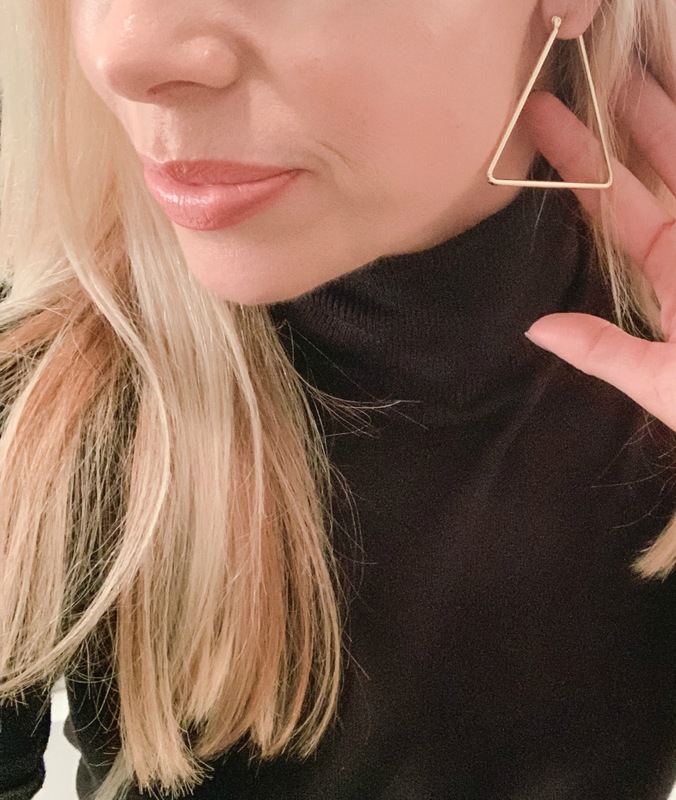 I treated myself early with these stunning geometric earrings from Uncommon James. Would make a great gift for a mom, sister, girlfriend or yourself! Showing your mom, sister, friend, or kid's teacher a little extra love for this holiday goes a long way with them. Even if it is a hand written note with an under $10 gift! We as women often put everyone else first so it's nice to feel appreciated! One of my fave under $10 gifts is this diamond cleaner because who doesn't want to keep their jewels shining bright?! If you've been following us for awhile then you know how obsessed we are with this lip mask! It truly gives you kissable lips + battles the winter dryness for $20. For a fab gift in the under $100 category this fits the bill. 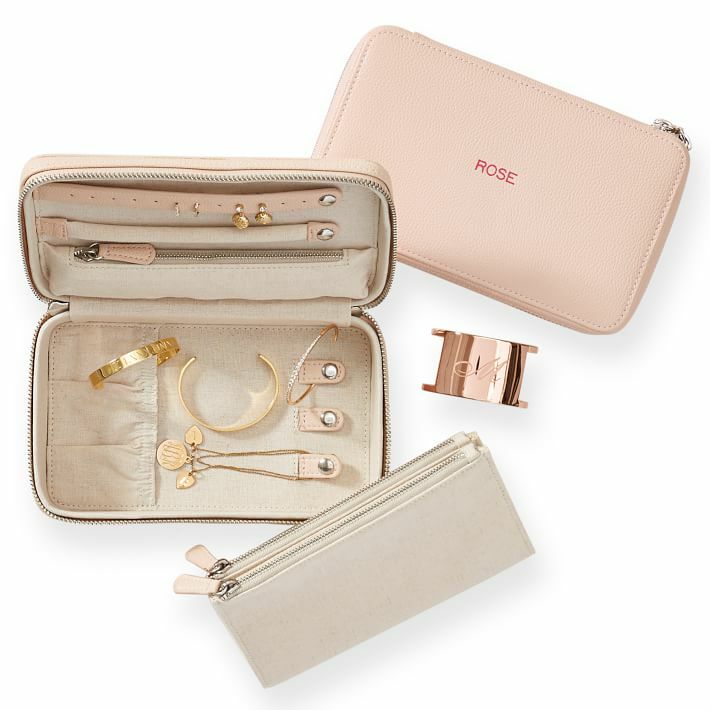 This travel jewelry case comes in eight colors and can be monogrammed. The blush one is on my wish list! Click below to shop more ideas! If you are like me then shopping for your dude can be tough! My hubby and I don't do big gifts for each other because we would rather buy something for the house or for the kids. But sometimes it's nice to give your man a little something even if they swear they don't want anything! This was one of my top picks for Christmas because my hubby loves it! 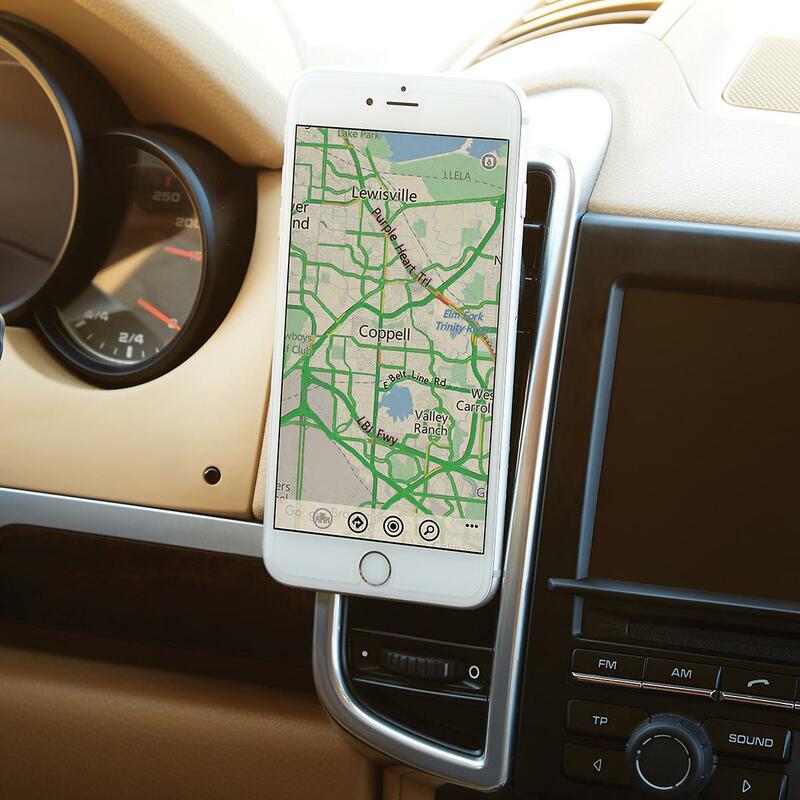 This car vent phone grip is a life-saver in the car and a steal at under $10. 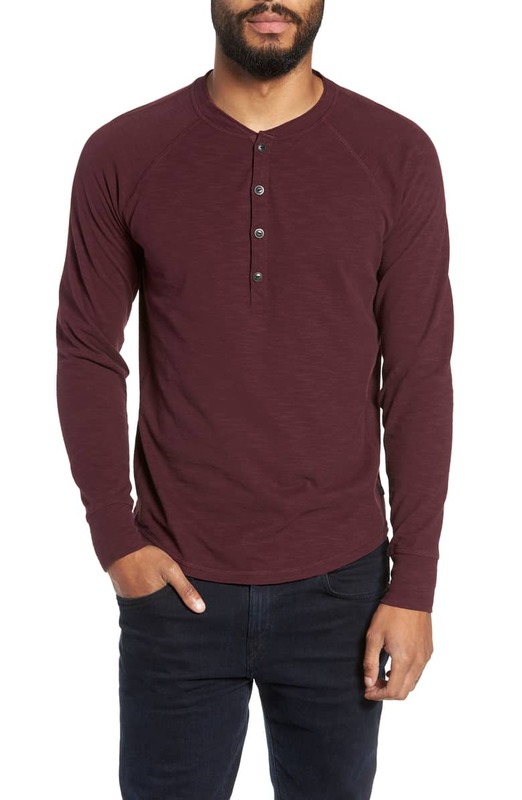 I love this slim cut version of a Henley tee! It comes in eight colors and looks comfy + cute! Welcome! 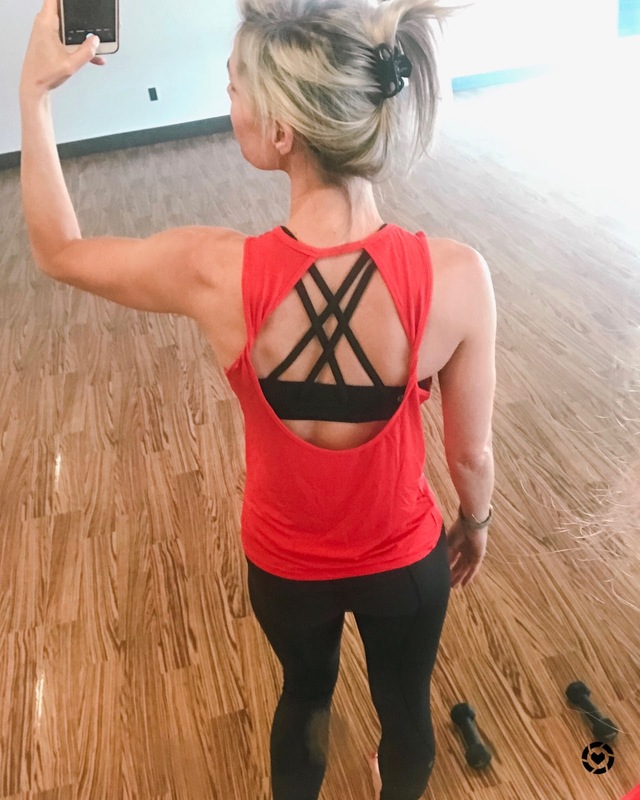 We are working moms with a passion for sharing our tips and trends on fitness and fashion. We firmly believe in putting yourself first, having fun with fashion and making fitness a part of your lifestyle. Thanks for joining us! © Nashville Fit + Style. All rights reserved.